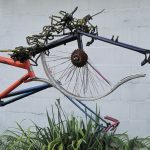 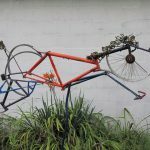 The sculpture is made from reclaimed bicycle’s peddling off to the front of Saratoga’s racing season instead of filling the land fill. 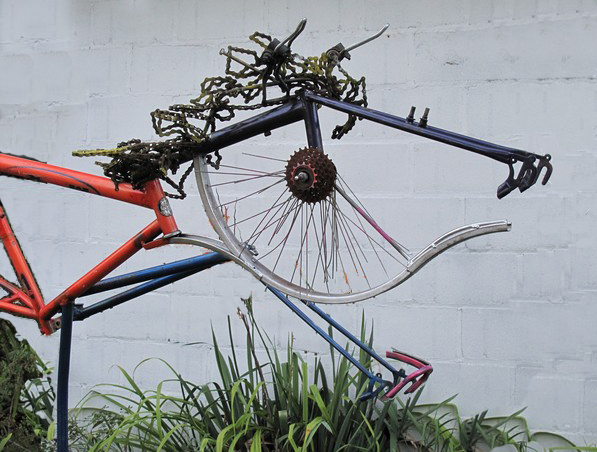 Reaching for the finish with action and color of re-cycled purpose. 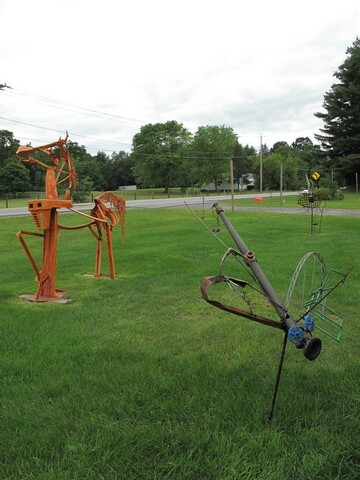 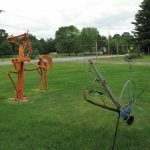 Saratoga Sculpture Parks Show season. 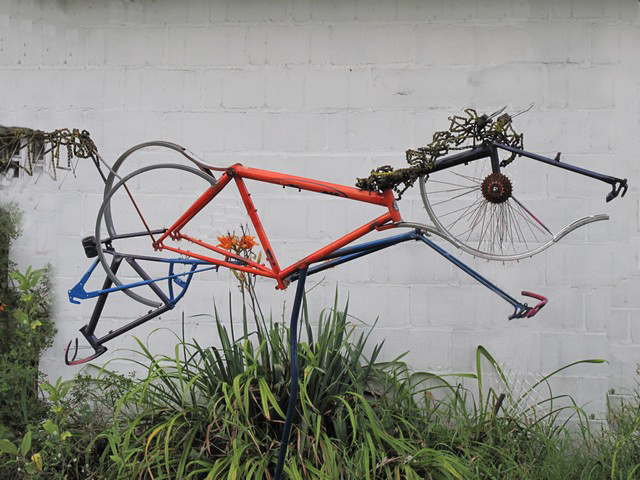 Long hours and persistence through artist Michelle Vara at the Ballard Road Art Studio Gallery propel this fun, fast sculpture to the finish line.